Posted by Dr. Mary Bourke . Surface conditions on Titan are near the triple point of methane, suggesting a methane-based hydrologic cycle which may incorporate solid, liquid, and gaseous phases. Albedo patterns on Titan’s surface evident in early Earth-based observations were interpreted as dark hydrocarbon liquids in topographic lows between exposures of bright water-ice bedrock (Lorenz and Lunine, 2005; Smith et al., 1996). Initial data from the Cassini-Huygens mission detected more than 75 radar dark patches in the northern portion of a 6,000 km long swath of the surface (Image 1). 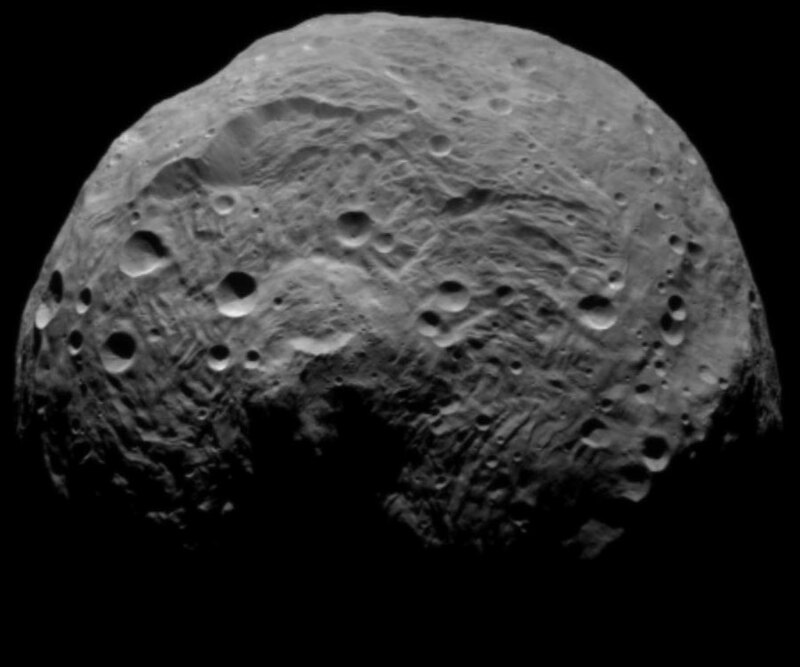 These features measured from 3 km to in excess of 70km across. 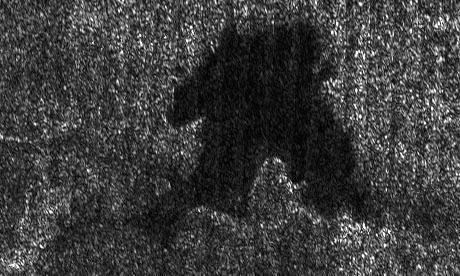 The backscatter of some of the dark patches had much lower reflectivity than previously imaged areas on Titan, including the radar-dark sand dunes observed near Titan’s equator (Sept. 2007 PGWG featured image). 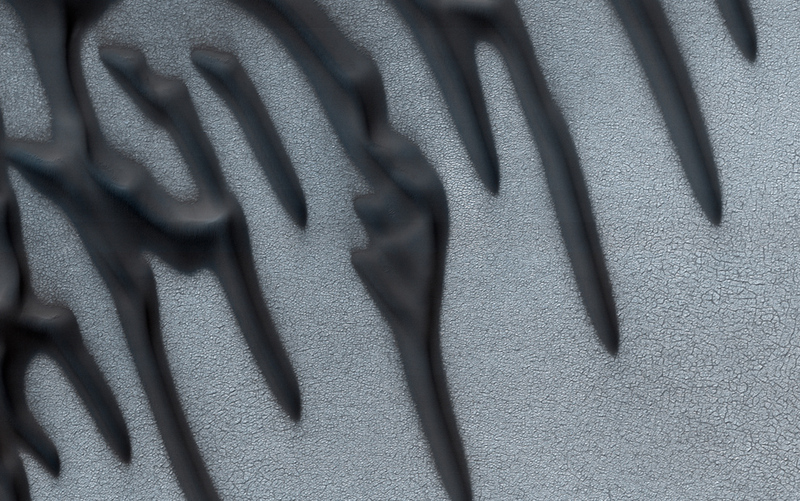 The features were hypothesized to be smooth surfaces of a low-dielectric material such as liquid hydrocarbons (Stofan et al., 2007). Although the polar temperatures on Titan are modeled to be close to the freezing point of both methane (91 K) and ethane (90.3 K), dissolved atmospheric nitrogen would likely depress the freezing point of the lacustrine liquids well below these values (Barnes et al., 2009). Since those initial observations, similar features have been identified close to the south pole (Turtle et al., 2009) and specular reflection (Glints) have confirmed the presence of surface liquid bodies on Titan (Stephan et al., 2010). The lakes have a range of sizes and shapes. 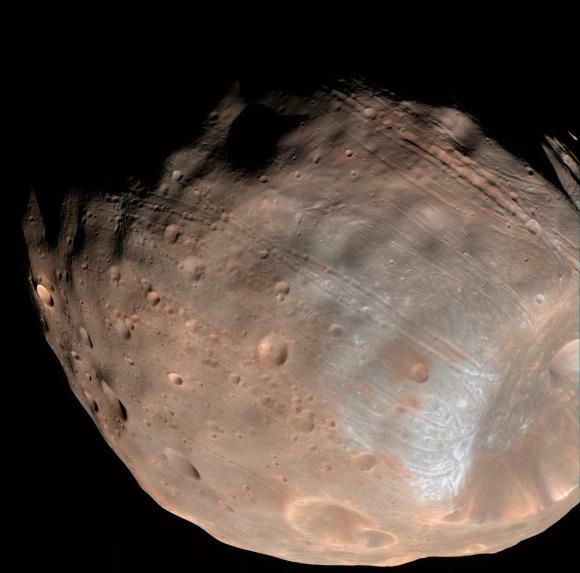 In RADAR data they are small (a few kilometers across) and circular; moderately sized (tens to hundreds of km across), some with smooth, regularly scalloped edges and others resembling terrestrial reservoirs; and vast seas thousands of kilometers across (Hayes et al., 2008; Stofan et al., 2007) (Image 2). 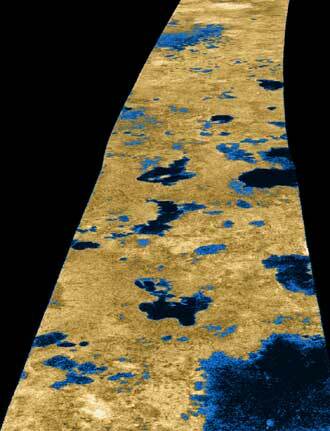 Lakes on Titan have a range of morphologies. Those that have distinct polygonal shapes, rough shoreline geometries, and associated channels are similar to terrestrial drainage lakes dominated by surface flow. Comparatively rounded lake boundaries with sharp shorelines and no associated channel networks are consistent with seepage lakes interacting with a local ground-methane system. Other lakes seem to be dendritic or branching in nature and have similar morphology to flooded river valleys (Stofan et al., 2007, Hayes et al., 2008). A recent study of Ontario Lacus, the largest body of liquid in the southern hemisphere (14,000 km2), identified an array of geomorphological features that show remarkable similarity to shoreline features associated with lakes on Earth. They identify a gently sloping, possibly wave-generated beach, a shore with Earthlike rivers, deltas and flooded topography (see Fig. 1, Wall et al., 2010). These data suggest active sediment transport and erosion. The authors further suggest that the size and morphology of the delta indicates that there is low sediment discharge. This may be the result of low sediment supply, slow flow velocity and a low sediment transport capacity on Titan (Wall et al., 2010). Some lakes on Titan may presently be dry, possibly having been drained by subsurface hydraulic flow or emptied by evaporation (Hayes et al., 2008). The first evidence of surface change was detected when new dark features appeared in an Imaging Science Subsystem image of the south pole following a large outburst of clouds (Turtle et al., 2009) suggesting that some of the lakes are ephemeral. The geographic distribution of lakes is clustered within ~20° of the poles (Stofan et al., 2007; Turtle et al., 2009) and it appears to be related to a combination of atmospheric global circulation and the net transport of volatiles into the coldest regions. However, both filled and dry-bed lakes are more common in the northern latitudes. This is proposed to be influenced by Saturn’s eccentric orbit around the Sun which causes an asymmetry in Titan’s seasons. This difference in the balance of evaporation and precipitation between the two hemispheres causes a difference in the distribution of surface liquid (Aharonson et al., 2009). Lorenz, R., and Lunine, J. (2005). Titan’s surface before Cassini. Planet and Space Science 53, 557-576. Smith, P., Lemmon, M., Lorenz, R., Sromovksy, L., Caldwell, J., and Allison, M. (1996). Titan’s surface, revealed by HST imaging. Icarus 119, 336- 349.